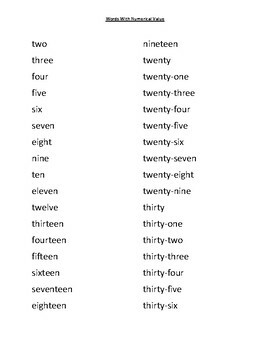 Great for English Language Learners! 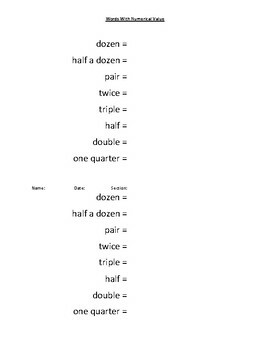 My students that struggle with English have a hard time identifying all the important information in word problems, especially when numbers are in word form or when words mean a numerical value (ex. half). 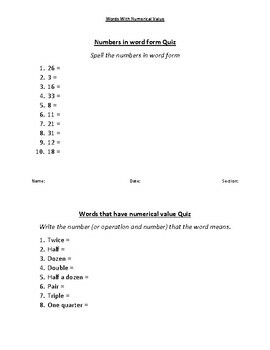 Page 1- Practice worksheet, students use this page to practice writing and identifying numbers in word form. 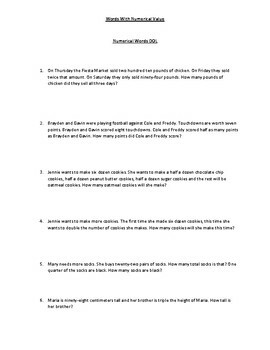 Page 4- Number Words Demonstration of Learning (DOL) Word Problems.